Taking on climate change will require massive state investment and the destruction of the fossil fuel industry. We tend to associate oil and crisis with high prices and scarcity. Yet when prices plummet — as they have over the last few months — it creates a different kind of problem for oil producers. As this shock reverberates through the state coffers of Russia and Venezuela, and the oil fields of Texas and North Dakota, how might the Left respond? Certain provinces of the Left are no doubt befuddled by the development, long confident that humans were exhausting the earth’s oil supply. From Michael Klare to John Bellamy Foster, many during the 2000s also assumed peak oil and scarcity underpinned American imperialist adventures in Iraq and beyond. In this view, powerful corporations and states collude to secure access to dwindling oil reserves and the attendant money and power. The insatiable drive to extract more oil, in other words, is the primary concern. But as the radical left collective Retort observed a decade ago: “The history of twentieth-century oil is not the history of shortfall and inflation, but of the constant menace — for the industry and the oil states — of excess capacity and falling prices, of surplus and glut.” The problem right now — for oil producers and those of us concerned with climate change — is that there is too much oil. What of peak oil? The Energy Information Agency (EIA) recently estimated that in 2015, the US will reach an oil production level of 9.3 million barrels per day — a mere 300,000 barrels shy of the 1970 zenith that peak oil proponent M. King Hubbert famously predicted in 1956. 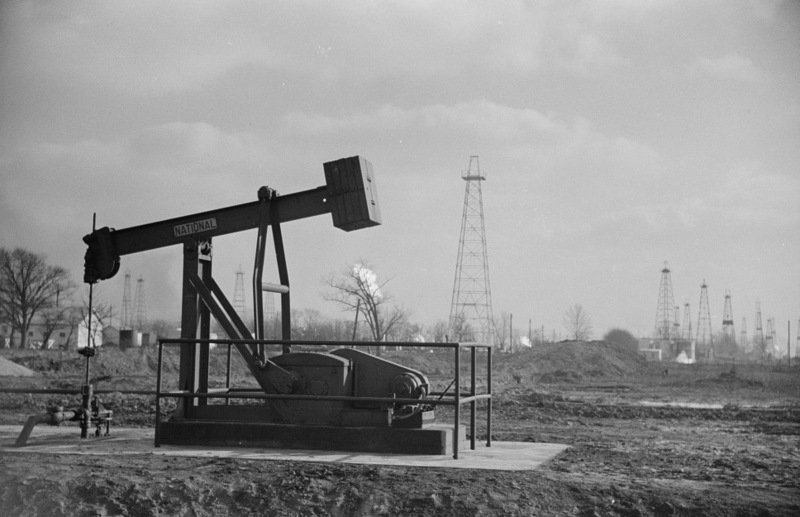 It is possible that the massive boom in fracked “tight oil” from shale formations will “reset” US peak oil nearly fifty years after it supposedly occurred. But peak oil proponents consistently underestimate the capacity of capital to revolutionize the technical capacity to profitably access new deposits. Timothy Mitchell points out that as much as oil capital seeks out new frontiers of production, it is equally concerned with keeping oil off the market to ensure profitability. If too much oil is accessed and supply is increased, profitability becomes impossible. While oil companies have enjoyed high prices and record profits over much of the last ten years, elevated oil prices (and their mega profits) have proven too tempting to producers, resulting in overproduction and glut. On the consumer side, the return of cheap oil is often heralded as a positive development for workers and the economy. And indeed, in the United States, cheap gas is one of the few reprieves for a working class beset by unemployment, stagnant incomes, and debt. But the labor movement can’t expect improvements in living standards to come via the gasoline pump. Whatever the momentary benefit from filling up at under $2/gallon, the collapse of oil prices is extremely dangerous for society as a whole. If the remaining oil (and coal and gas) on the planet is burned, it will become impossible to mitigate the (already perhaps unmanageable) effects of climate change. Moreover, the threat is not just from the enormous amount of untapped fossil fuels, but a sustained period of low fossil fuel energy prices, such as occurred in the 1950s–1960s and the 1980s–1990s. Historically speaking, fossil-fuel-powered capitalism experiences sustained periods of cheap energy prices — the price booms are the exceptions. And, cheap energy stymies the political will (if it exists at all) to change our energy system. The problem is that the United States has an energy policy that is primarily directed by the price swings of volatile energy markets. Climate change is a market failure of planetary proportions, and we cannot expect the booms and busts of energy markets to guide us toward a clean energy future. As Naomi Klein and Christian Parenti (among others) have persuasively argued, climate crisis is so dire that it will take nothing less than a “war-like” mobilization of the public sector (state planning, punitive taxes, and massive subsidies for clean energy) to shift our economy away from fossil fuels. A left approach to energy must take its provision back from the market, prioritizing ecological and social welfare over price signals. Energy should be viewed as something akin to education, health care, or water sanitation: something so fundamental to the collective good that it cannot be ceded to market forces and the profit motive. Yet unfortunately, market prices have, more than anything else, guided US energy policy over the last few decades. Since 2008, US natural gas production has jumped by 17%, including a 314% increase in shale gas production (a result of the boom in unconventional gas, which uses horizontal drilling and hydraulic fracturing). The glut of natural gas has led to sustained low prices, declining from nearly $8/million cubic feet (mcf) to under $2 during parts of 2012 and under $3 today. For electric utilities (probably the most important sector from an energy policy perspective), the price of natural gas for power generation in June 2008 peaked at $12.41/mcf. Today it is $4.33. This rapid price decline has occasioned a massive shift in energy sources. A decade ago, only 17% of our electricity came from natural gas. In 2012, it peaked at 30% before falling slightly over the last couple years to around 27%. Coal’s share has also seen a simultaneous decrease, declining from 49% in 2007 to 39% in 2013. This change — the kind of massive and rapid one we need toward renewables — has little to do with the cleaner burning qualities of natural gas, or the national security concerns supposedly assuaged by domestically-produced energy. It is simply a product of utilities seeking cheaper fuel. All of this relates to President Obama’s supposedly strong executive action on climate change last June. In a move celebrated by most green groups, Obama appeared to be harnessing state power — the Environmental Protection Agency (EPA), under the auspices of the Clean Air Act — to force the electric power sector to lower its emissions. The goal is to reduce emissions 30% by 2030. However, by cleverly choosing 2005 as the baseline — the year in which emissions peaked — much of the reductions mandated by the EPA have already been achieved because of the shift to cheap shale gas. According to the EIA, CO2 emissions have already declined 15% since 2005. Thus, by riding a market driven shift, Obama is able to appease left-leaning climate activists, while still reproducing the bipartisan consensus of the last three decades that energy policy is best directed by market signals. There are also deeper concerns about the substantial methane emissions leaking from fracking infrastructure (e.g., pipelines and compressor stations) that call into question the purported climate benefits of the shale gas boom. And the market-driven shift to gas has essentially locked in decades of fossil fuel infrastructure: more pipelines, more chemical and fertilizer plants, and more centralized fossil-fuel-powered electricity. This despite the devastating ecological costs of fracking: flaming faucets, water contamination, earthquakes, etc. The volatility of the oil market over the last twenty years has also been astonishing. In 1999, the Economist ran a cover story about the world market “drowning in oil” as oil prices collapsed to $10/barrel. In 2008, we reached an oil price apex at $147/barrel only to see those prices sink to around $30/barrel in the wake of the financial crisis. After several years of relative price stability around $90–100, prices in 2014 collapsed again to under $50. Yet at least this acute turbulence made it clear our energy system was in need of major restructuring. The danger now is low, stable prices for a long period of time. The return to cheap energy can create a kind of “sedative” for political forces aiming to transform our energy policy away from carbon-intensive energy. The sedation of market cycles conforms to a highly neoliberal story (most famously told by Julian Simon in The Ultimate Resource ) of the apparently infinite capacity of markets to incentivize production in moments of scarcity. Whenever markets are tight and an energy resource is scarce, prices go up, magically giving the incentive to producers to develop new sources. For oil, the “new” sources of today include deepwater offshore drilling, tight oil, and tar sands. Eventually the new production leads to a supply glut (like today) and price collapses (one happy environmental side effect is that these extreme and high cost energy projects like fracking and the tar sands might become economically unviable). After sustained periods of low prices the lack of a “market incentive” causes cutbacks in production and scarcity. And the cycle begins anew. This year feels a lot like 1999, which felt a lot like the 1986, which felt a lot like the 1930s. The sedative of market cycles makes it appear we are in an inescapable hamster wheel of energy scarcity and glut. To get off the sedative of market cycles, we need a strategy that recognizes the critical role of public investment in transforming energy systems. A left energy platform should transform our shared energy infrastructures (e.g., electricity grids, buildings, transport systems). The long-term nature of such investments means they are not well handled by private capital. It will instead take collective commitment and state power to transform these systems. This is different than simply hoping for private-sector entrepreneurs and market signals (or even a handful of tax credits) to craft our energy transitions for us. By creating a public works program for energy infrastructure, we can transform the nature of the energy system itself. The United States did not become the largest oil consumer in the world simply because it was the largest supplier of oil commodities. It took massive public investments — using state power to direct funds toward long-term goals not realizable in the short-term world of markets — to financing suburban housing and develop the road and highway networks that ironically ended up becoming the public basis for suburban, oil-powered privatism. This move toward public control of energy infrastructure is already happening. In This Changes Everything , Naomi Klein recounts several movements to take public ownership of electric power systems, from Hamburg to Boulder. But the kind of large-scale changes needed to solve the global crisis of climate change must go beyond the local municipal level. In this respect, China provides a good example. Renewable energy in China has exploded not just because of the subsidization of private producers of wind and solar panels (although that is important), but also because the Chinese state has launched a massive, long-term plan to transform its electricity grid via investments in “smart grid” infrastructure (which can manage the sometimes-intermittent flows of solar and wind power). For example, the State Grid Corporation of China has issued product standards for key smart grid components. Because of its dominant position in the electricity market, it can guarantee a market for manufacturers that produce them. An exemplar of Christian Parenti’s notion of the “Big Green Buy,” by using the buying power of publicly owned electricity grids, the Chinese state is helping make possible a rapid transition toward green and renewable power. Meanwhile, the US is flooded with cheap shale gas, which it pretends is some sort of bridge to a cleaner future, all while fixing the numbers to show dramatic emission drops from natural gas–based electric power. Worse, the paltry subsidies to solar and wind producers are in danger of expiring at the hands of a Congress that believes subsidies (for fossil fuels according to Democrats, for renewables according to Republicans) hinder a truly competitive and free market for energy. Climate change is the epitome of a market failure. It is the breakdown of a system we treat as an atmospheric commons — a public and shared system the market does not see or value. Many of course criticize the market for not accounting for the cost of dumping greenhouse gases into the atmosphere (despite the corrupt efforts to establish markets for carbon). Yet we haven’t thought enough about how markets also tend to produce booms and busts that create long periods of low energy prices and lessened political will to change our energy system. An energy transition won’t happen magically through entrepreneurial innovation and price signals. We need a mobilization of the public sector to both destroy the fossil fuel industry and produce the conditions for a new energy system. It will require massive public works projects to create an electricity grid more conducive to decentralized renewable energy systems (as well as highly centralized ones like the solar thermal plants in the southwest). Creating an electric sector powered by solar, wind, and other renewable energy can also transform the oil-powered transportation sector. After all, electric vehicles are only truly “green” if they plug into an electric grid that is not powered by coal, natural gas, and nuclear power. Much like our transportation system was transformed through state-directed, federal financing of roads and highways, we must move toward public transit and use the buying power of the state to create mass markets for electric vehicles. This transformation should be fought for and legitimated as a public project and an answer to the public crisis of climate change — not as something that needs to be “cost effective” or “competitive” in the context of market forces. Framing climate change as a public crisis also requires us to transform energy itself from a commodity to a public good. This is especially important for poor and working-class consumers already struggling to provide the basics of food and shelter. Much of “drill baby drill” populism is rooted in everyday concern over rising energy prices (and drill baby drill we did). The Right has been able to prevent any coherent energy policy simply by telling consumers, “It will cost you more.” We need to reimagine energy not simply as a cost, but as a public good that is provisioned with long-term social justice and ecological sustainability in mind. Workers must be at the center of this transformation, and the new transition itself — as well as the new paradigm — must address the economic insecurity affecting workers by providing steady, well-paying public sector jobs that build a new future. Furthermore, any energy transition away from coal, gas, and oil must take into account the workers displaced from those industries. Public training and jobs for these workers can provide the foundation for constructing a new energy economy. Finally, this struggle can’t be conceived as merely over one issue or sector called “energy.” The ceding of our energy system to the market is part of a broader neoliberal political economy that privileges the private over collective solutions to the basics of life — energy, health, housing, and even, for some, water. The building of a socialist politics can only begin by recuperating our basic notions of “public” and “collective” against the ruthless privatism of market logic. Matt Huber is assistant professor of geography at Syracuse University. He is the author of Lifeblood: Oil, Freedom, and the Forces of Capital.